With the first owner bearing the brunt of depreciation, buying a used car can often prove to be an economical decision, provided that is the only hit it took. Apart from the obvious (a car that is able to move on its own power), many factors often make or break the deal. Typically, the reliability of an old car is at the forefront of most buyers' mind. Meanwhile, to others, the fear of purchasing a vehicle that was previously involved in a serious accident could be that deal breaker. 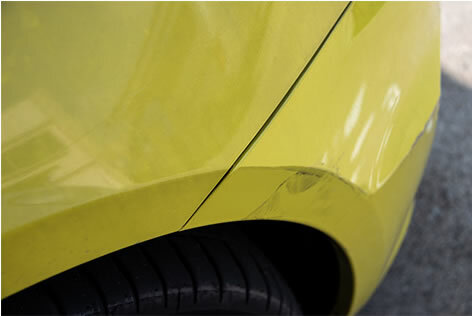 Cars that have been severely damaged are often repaired and end up back on the road, but the quality of the repair job and the severity of the damage play a huge part in ensuring the safety and roadworthiness of a vehicle. As the saying goes, prevention is better than cure. Thus, sourcing for an accident-free example would let one avoid the potential issues, which could arise from a poorly repaired vehicle. So, how would you figure if that apparently showroom-condition car is exactly what it claims to be? Here are 10 vital signs you need to look out for. Under the lighting of the used car lot, that car's paintwork can appear amazingly flawless, but that may not be the case. It often helps to be able to scrutinise the paintwork in a well-lit environment, such as out in the sun, and this is where you will be able to inspect it thoroughly for any inconsistency. 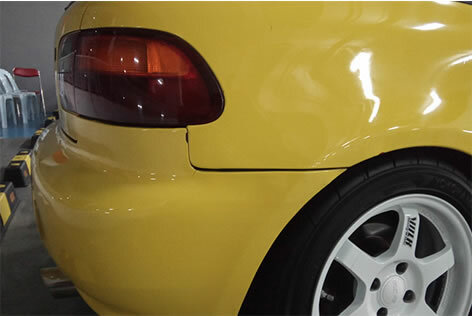 Whether it's just a slightly different shade, a variance of the shine or completely mismatching colours between the various different body panels, it all points to a car that had its bodywork repaired. Of course, do check with the seller, in case that matte black bonnet was inspired by the panda AE86 from Initial D.
Car parts are usually rather costly. 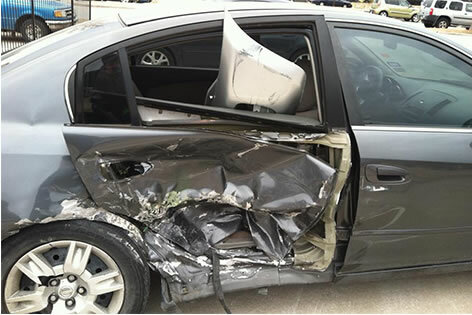 It is not uncommon to replace only the damaged parts after an accident and luckily for you, this means that there would be obvious signs for you to look out for. A brand new part on a largely worn and aged vehicle is like a huge warning light flashing right in your face, especially so if it's the airbag cover (which will often break upon deployment of the airbags) or the head and taillights, which are most likely to be damaged in a fender bender. In some cases, mismatched or third-party parts are also used in a bid to lower repair costs. Hence, always verify with the seller regarding such irregularities. Did the car really come with a carbon fibre dashboard insert and wood grain door trims? By now you would have noticed the order of the day is inconsistency. Cars roll out of the factory in excellent condition, and no manufacturer will design doors that you have to slam so hard that the entire neighbourhood can hear, in order to be closed. You also shouldn't be able to stick your finger in the gap between the fender and door when closed. These gaps should be minimal and consistent throughout the bodywork. After a serious accident, many parts will be misaligned, and getting them back in place is not a simple task. Test driving a new car is all about getting to experience its features, but test driving a used car is also about determining potential issues. 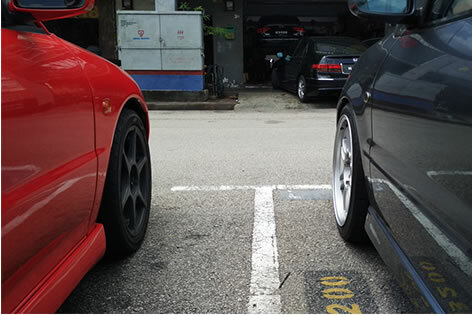 If the car pulls to a side and is not able to track straight, its alignment may be off. In the worst case scenario, it may even be a car that has a bent chassis that is impossible to be properly aligned. Never purchase such a vehicle without demanding for a realignment to be done, if possible, and ascertain that the issue has been rectified. So, you went for a spin, and great, the car drives straight, so it must be in perfect condition? Not so fast! 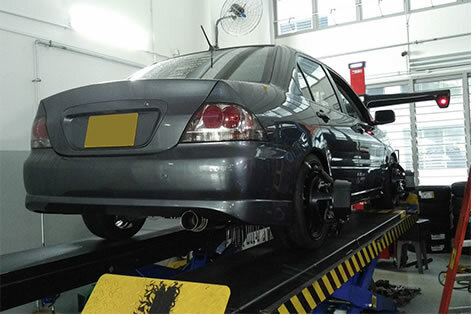 Even if the car does not pull to a side, uneven tyre wear could be the outcome of a botched suspension alignment setting. It may also indicate something much more serious, such as a problematic chassis, aligned to hide the issue. As you see, if the compromised chassis perpetually works against the direction of the wheel, the tyres would be experiencing an abnormal amount of forces, resulting in that uneven wear you observed. What do you do when your car was rear ended so hard the boot resembles that crushed piece of flyer you just binned? Well, you could scrap the car and lose all that money, or you could salvage the car. The easiest way if you chose the latter would be to cut and swap the damaged section and this involves a lot of welding, which could be noticed upon a closer look under the carpeting of the boot. 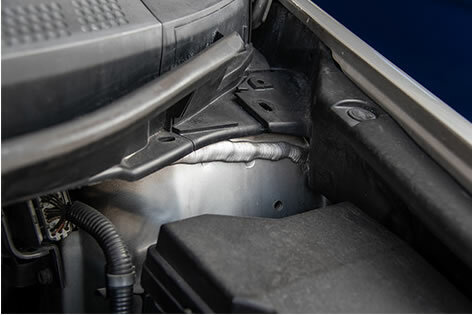 Most cars have parts that were welded together, so what you should look out for are cutaway sections that were stitched together (the boot floor should be a single piece, definitely not joint across the spare tyre well), irregular welding marks (compared to other welds on the car) and those on curious locations. 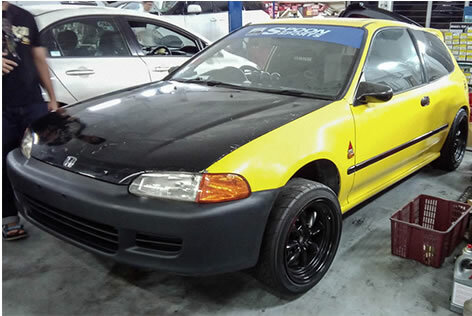 Generally, such cars are avoided as there is no sure-fire way to find out if it has been professionally repaired, rendering it near impossible to know how well it would hold up in the event of another accident. Structural parts of a car aren't usually held together by nuts and bolts. Hence, repair works usually require some welding. The thing about welding is that paint needs to be removed in order for it to be done properly. These parts are usually made of steel, which will rust over time if left unpainted. 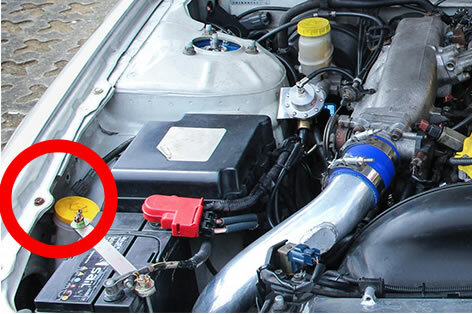 Repair works on inconspicuous areas, such as in the engine bay, are the prime suspects as it is easy for the untrained eye to overlook. More common in countries, which experience winter, cars are undercoated to prevent rust and slow down the rate of wear and tear. Many local cars are also undercoated either as an option by the dealer or done by a third party. However if you are viewing an unassuming used car with a fresh shiny undercoat, it might be an attempt to hide repair work that was done to the car. 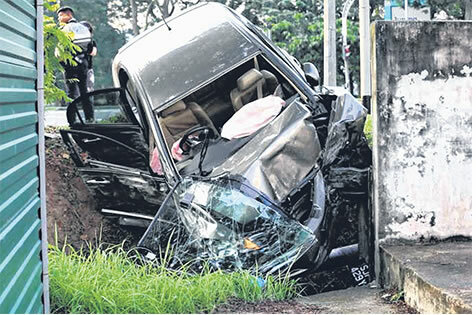 The malleable steel sheets, which make up most of a car, could crease upon the impact of a collision, and a proper repair job would see to it that the body of the car is straightened as much as possible. 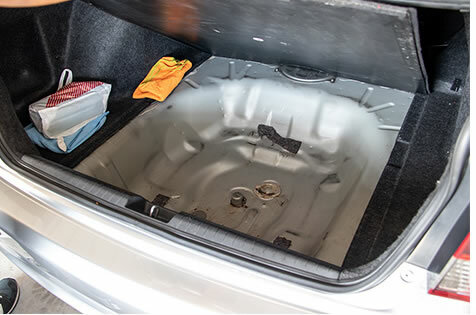 However, a shoddy repair job might leave concealed areas such as the boot floor or sections in the engine bay still visibly creased. Pop open the bonnet and you would see screws that hold the fenders in place, and these should be of the same type and of similar condition. Why should you be worried if these seemingly insignificant hardware don't match up? While working on cars, it is not uncommon for workshops to misplace and replace such screws. Hence, this could be an indication that the fenders were removed at some point for repair work to be done. 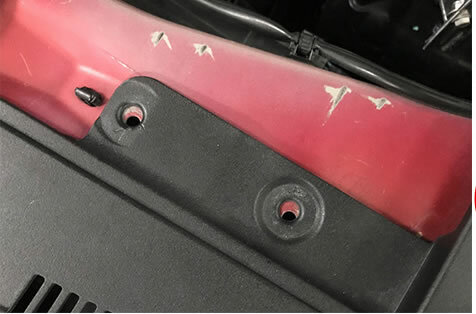 This applies to other parts as well, such as the bolts holding the bonnet to the hinges or fasteners, which keeps the fender's splash guards on. 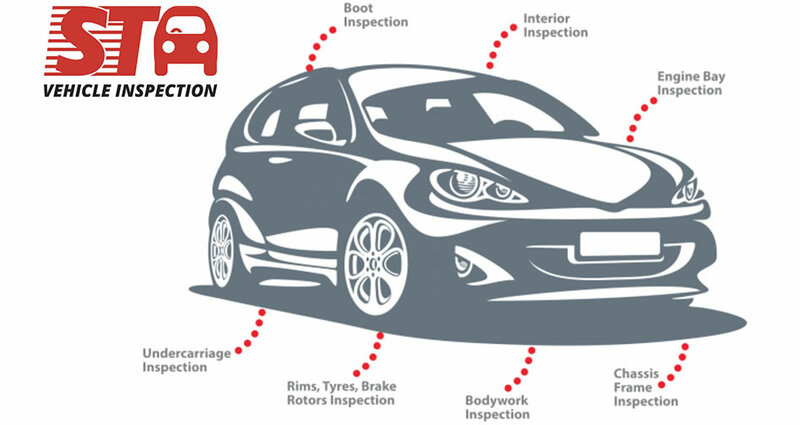 Even if the car doesn't exhibit any of the above signs, it would always be a wise decision to seek a professional's opinion and get the car evaluated by STA or a trusted workshop with the relevant experience. On why STA is the preferred choice for car evaluations, this is what Leonard Chiu, Sales and Marketing Director of STA, says, "STA is able to implement the top evaluation process that aligns with LTA's requirements. STA's car evaluation process incorporates a stringent 120-points check, road test, and also utilises a state-of-the-art optic laser chassis measurement system to ensure the vehicle's structure conform to the manufacturer's standards." 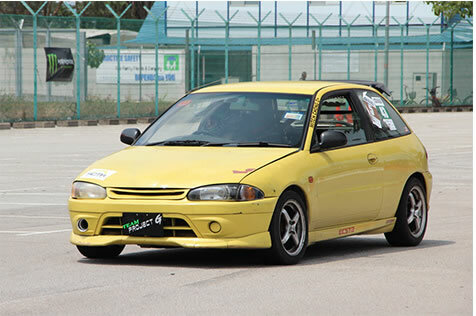 "An independent evaluation gives the potential buyer a clearer picture of the car's condition, allowing him to make a more informed choice," explains Glenn Ong, General Manager of sgCarMart Quotz, Singapore's one and only online car auction platform. Does this mean that cars involved in accidents should be avoided like the plague? Not exactly, if the damage was minimal, or if the car does not exhibit any of the abovementioned telltale signs and has been green-lit by a professional. It must have been properly repaired, and as such you should be able to purchase the vehicle without much worry. Check out our wide range of STA-evaluated cars available and make a worry-free purchase now!